A tough season continued for the WolfPack women’s soccer team as they were defeated 4-0 by the University of Victoria Vikes. The game was played at Hillside Stadium. At the halfway mark of the contest WolfPack was only down by one and it seemed as though they still had a chance to get back in the contest and make a fight of it, but a second half hat trick by the Vikes’ Kiara Kilbey all but condemned the WolfPack team to the fifth loss of their season. The ‘Pack managed to create a decent number of chances throughout the game – seven to be exact, while Victoria created 14. The WolfPack was unable to capitalize on any of the chances they created whilst Victoria was. It was no doubt a bad day at the office for the WolfPack women’s defence as they conceded four goals. Issues in defence will need to be addressed and improved upon as the season moves on. “We were tired. We talked about it at half time. At this level you have to come out strong. Fitness is fitness. Sometimes you have to play two very physical experienced teams in a 24 hour period. We weren’t prepared for that today. Our thinking was off. I don’t think our shape was off or our movement was off but we were slow. They are tired and not mentally into it (his players),” Shantz told TRU Athletics following the game. Shantz also went to say that the current WolfPack team is still very young and inexperienced and that this played a part in the result of the contest. The hope would be that these kind of games would teach a lot of the women’s WolfPack players the importance of concentration against very good teams. 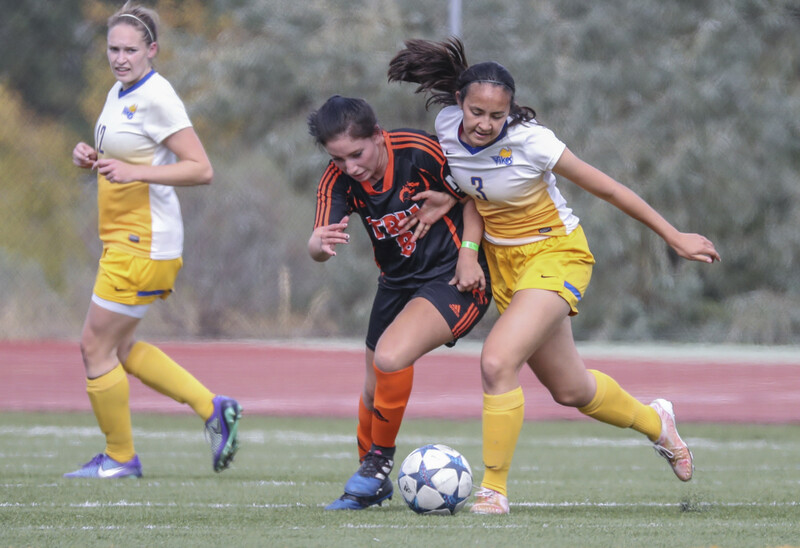 The WolfPack women’s team’s record fell to 1-5 after this defeat.